Children's Fine Art Classes (CFAC), founded in 1925, has remained the cornerstone of Louisville Visual Art's program. Jackie Pallesen came onboard as CFAC director in 2011, and it wasn't long before she charted a path of innovation that brought that program, and all of LVA's education department, online and into the 21st century. She did it by building a management team, one that recognized that the long-term future of non-profit arts centered on the expansion of education programming, and brought innovation to the table. Her first step in that process was hiring Sarah Davis to be CFAC director. "It's easy to understand what an amazing impact Jackie has made on LVA when you see the numbers rapidly growing under her leadership," Sarah observes, "but I think the most significant thing she contributed to LVA is harder to quantify. Jackie made sure programming was meaningful and thoughtfully executed." 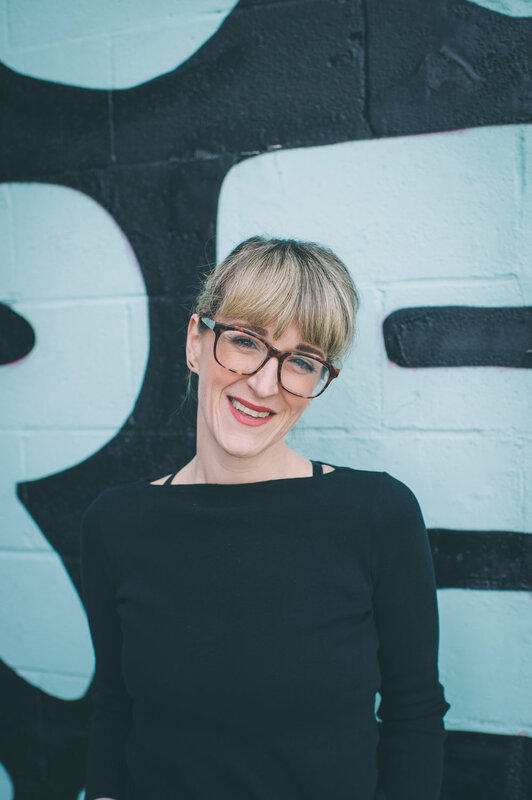 "Both LVA, as well as the entire Louisville community, have been fortunate to have her for the past six-and-a-half years, and I can't wait to see how she brings this same energy and passion to her new students," says Sarah. Once the CFAC selection and registration process was a mountain of paperwork that descended upon the LVA office twice a year. Now it functions in a streamlined manner through an almost entirely online registration. Recognizing that the CFAC high school curriculum demanded an upgrade, and needing to address the needs of students preparing for college, Jackie led her team in researching what other visual art programs for ages 14-18 were doing around the country. In 2015, they launched The Academy at LVA, an ambitious advance for the Louisville community. When Kroger prepared to launch a mural initiative for their Louisville market, it was Jackie that took charge of the project, acclimating Kroger executives to a process of issuing the Call to Artists, reviewing portfolios and original proposals, and the final selection of artists for each location over the last 2 1/2 years. One reason for Jackie's enthusiasm for the Kroger Mural Project was that it provided a first step in realizing a long-developing desire for LVA to initiate a larger mural initiative - one that would encourage community leaders and local businesses to invest in local artists and the expansion of public art. Lindy Casebier, Executive Director of LVA, expressed appreciation for her leadership and laying a solid foundation for the next successful chapter in the life of the organization. There have been a long line of innovative leaders in the education department; Peg Smith and Linda Sanders come immediately to mind. Talented people move in and out of non-profits all the time, but if the hope and ambition is that you leave the place better than you found it, then Jackie Pallesen's time at LVA was certainly well-spent. The organization, the programs and the people involved can only be grateful for that legacy.